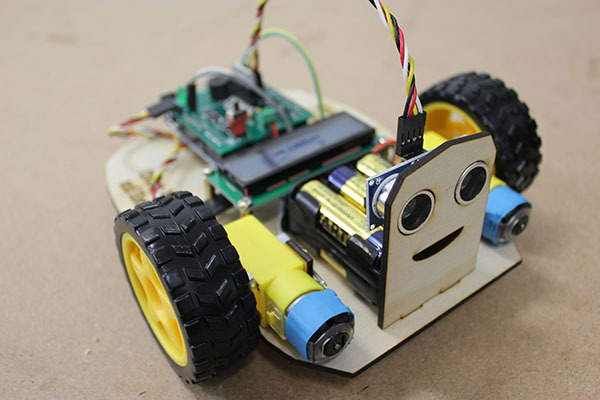 Building Block Studio has developed a small introductory custom robot which students can build, code and keep as part of their experience. 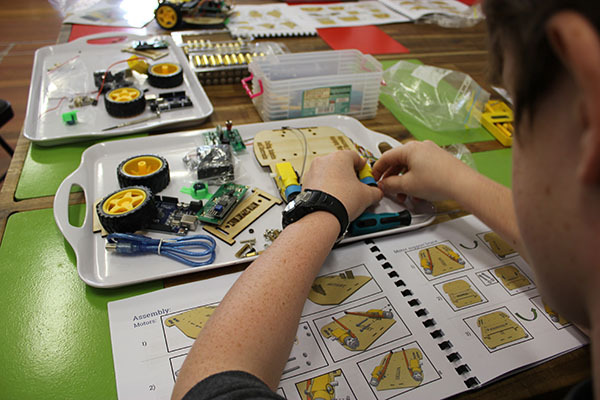 Students will follow simple instructions to assemble their robot with the necessary components: motors, LCD screen, battery, wheels, ultrasonic sensor, Arduino board and BBS robot circuit board as well as cables, nuts, bolts and risers. This will take approximately 45 minutes to complete. For the remainder of the time students will learn how to code their robot using our own extended version of mBlock which uses visual coding blocks for simplicity. 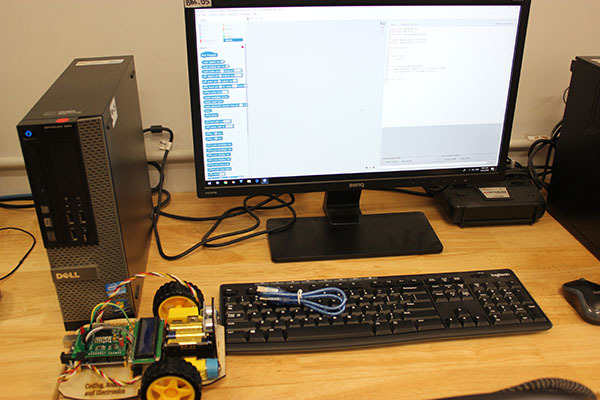 Students will learn how to write code for an ultrasonic sensor so that the robot can stop within a certain distance from an obstacle. They will learn how to write code so that text will appear of the LCD screen. And, they will write code so that their robot can drive forward, left, right and backwards. 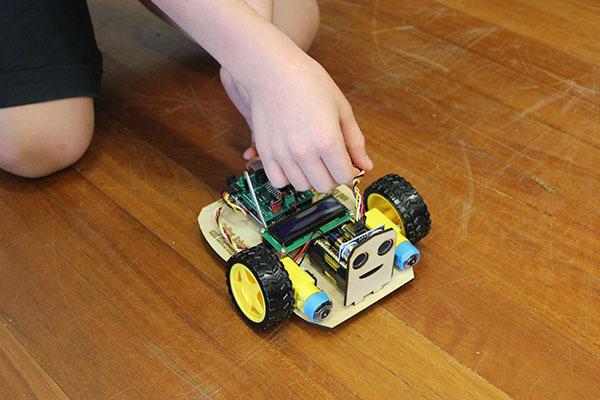 This unique workshop allows students to keep what they have built and coded which encourages them to continue coding their robot at home! This is very powerful at keeping the students engaged.